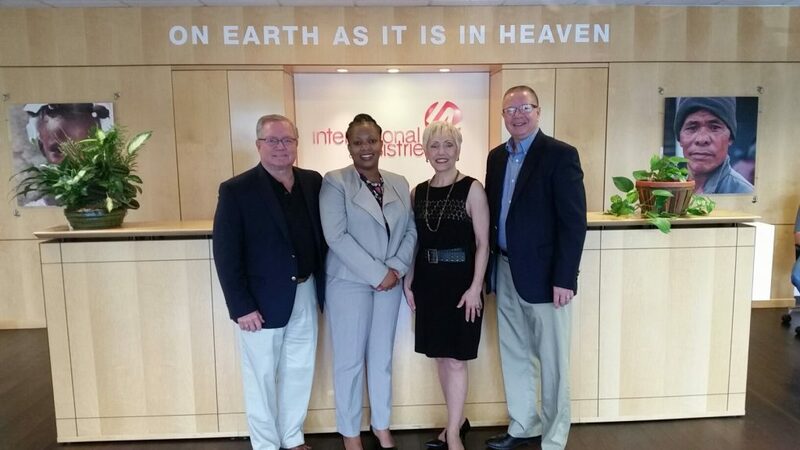 International Ministries (IM) is excited to announce that Joyce Bagiraneza and the Rev. Marc Kirchoff, D.Min., joined the IM staff as donor advisors on August 1, 2018. As part of the Development team, they join current IM Donor Advisor Karen Horsman of Plainfield, Indiana, and Senior Director of Development the Rev. Ray Schooler of Amherst, New York. Donor advisors are the field staff that connect in person with individuals and reach out to churches across the country. The Development staff seeks to build meaningful relationships at the regional and individual level and provides other connections with International Ministries. Personal engagement with individuals, congregations and church groups is one of the best ways for growing, renewing and acquiring new friends who have a passion for supporting international mission through the ministry of IM’s global servants and partners. Joyce and Marc bring their various gifts and professional experience to their new role. Joyce Bagiraneza is a native of Rwanda, studied in France and earned her undergraduate degree in Business Management from Eastern University and her Master’s Degree in Tourism and Hospitality Management from Temple University. She brings a strong understanding of the American Baptist Churches’ (ABCUSA) culture having networked with the regional offices as ABCUSA’s Associate Director for Travel and Conference Planning. She also worked as a sales manager in the hospitality industry for six years with a successful track record of achieving, growing and exceeding sales goals. She is excited to apply these skills in connecting with the IM constituency, in building relationships with IM donors and growing support for global mission. Joyce served on various boards as well as the Missions Committee as a member of the First Baptist Church, Pottstown, Pennsylvania, for 17 years. She also served on the board of directors for the Foundation for Pottstown Education where she chaired the Special Events and Fundraising Committee. Joyce worships at Perry Hall Baptist Church in Perry Hall, Maryland and at First Baptist Church of Pottstown. Joyce resides in Maryland with her husband Willibrord and their two daughters, Estelle (7) and Isabella (3). Marc Kirchoff is an ordained ABCUSA pastor with 38 years of ministry experience. A graduate of Purdue University (B.A., Public Relations) and an alumnus of the Southern Baptist Theological Seminary (M.Div. 1983; D. Min., 1989), Marc served three churches in Central and Southern Indiana as Pastor. In addition, he served as Regional Director of Alive in Mission, a denomination-wide capital fund campaign. His focus of ministry is in the area of stewardship, serving organizations including the American Bible Society, Prison Fellowship and Crown Financial Ministries. From 2009-2014, he administered a Lilly Endowment Grant for the American Baptist Churches of Indiana and Kentucky, a pilot project to assist pastors facing economic challenges. Marc and his wife Jill reside in Terre Haute, Indiana where Jill is the Children’s Minister at First Baptist Church of Terre Haute where they have been active members since 1991. Please join IM in welcoming Joyce and Marc to their new roles! Joyce can be reached by email at jbagiraneza@internationalministries.org and Marc can be emailed at mkirchoff@internationalministries.org.